Many times we get carried away with happenings around us, we focus more on what we see rather than focus on what we have "Ohun Ani". We for get to concentrate on what we are capable of doing, we forget what God has given to us and we begin to chase Shadows. "Ohun Ani" is not totally a new song as this has been a traditional yoruba song that has been sung for many years as a song gratitude and appreciation. This traditional quartet "Ohun Ani" is given a new concept and a change in genre by the creative expedition of Ace Producer, Wole Oni of WOMP Production. The Techno/Dancehall genre introduced to the song, gives a face lift and a total rebrand which is buttressed with the beautiful vocals delivered by Billy Gbadamosi. In Billy's perspective, the best way to thank God is to appreciate God for all he has done, and to be proud of what God has done. "Never see yourself too little or too big to be blessed by God"
Billy Gbadamosi, born in Nigeria but presently resides in Ireland, is married to Adeniyi Gbadamosi. The Gbadamosi's are blessed with lovely kids. Although this is Billy's 1st single to be released, She has been in the music scene for quite a while as she released her first Album in 2010 and has performed on several stages. Billy Gbadamosi is a member of The Redeemed Christian Church of God (RCCG) National Choir, Ireland and she is also the host of "I live to Worship" which started in January, 2015. Billy speaking on "I live to Worship" said - "The Lord has permitted me to share this awesome moment with as many who will be delighted to give God total worship. It is a monthly worship hour, Where God's awesomeness is made manifest. It is a serious divine Business as God will intervene through His worship in difficult issues of life." 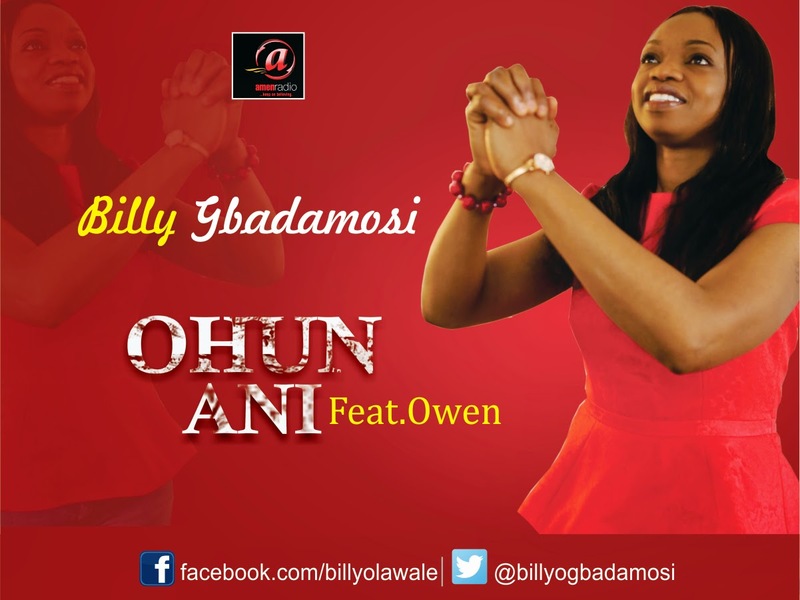 Billy Gbadamosi is a wife, mother and a worshiper.